Chelsea were hit with a potential crisis last night as Michael Essien went down with what could be a season-wrecking knee injury. 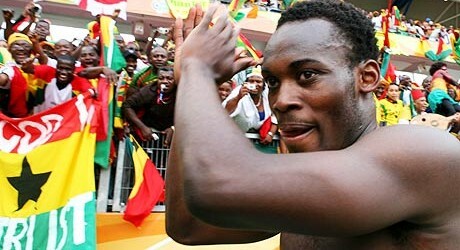 Ghana midfielder Michael Essien was taken to hospital on Thursday after twisting his knee in training. Last night there were real concerns for Essien’s future, with him having sustained serious injuries to both knees in the past three years. He had tests and will have more scans today. Initial fears are that Essien has once again damaged cruciate ligaments, which would mean a minimum of six months out. The loss of Essien is a major setback to Villas-Boas, who may now have to reshape his transfer policy to include the recruitment of another central midfielder. Villas-Boas, who has had his squad back for just a week, has only one other holding midfielder in John Obi Mikel. Yet he had a poor season last year so efforts to land Porto’s Joao Moutinho could now be stepped up.